In October 1994, the University of Florida and Camp Blanding Florida Army National Guard Base signed an agreement forming the International Center for Lightning Research and Testing (ICLRT) for the purpose of advancing the science and technology of lightning. The Center occupies over 100 acres at Camp Blanding, about 45 km north-east of Gainesville, Florida. Airspace is controlled at Camp Blanding so that lightning initiation from overhead thunderclouds using the rocket-and-wire technique can be routinely performed and the resulting triggered lightning studied, in addition to the study of nearby natural lightning (an average of 5 to 6 natural lightning strikes occur on the site each summer). 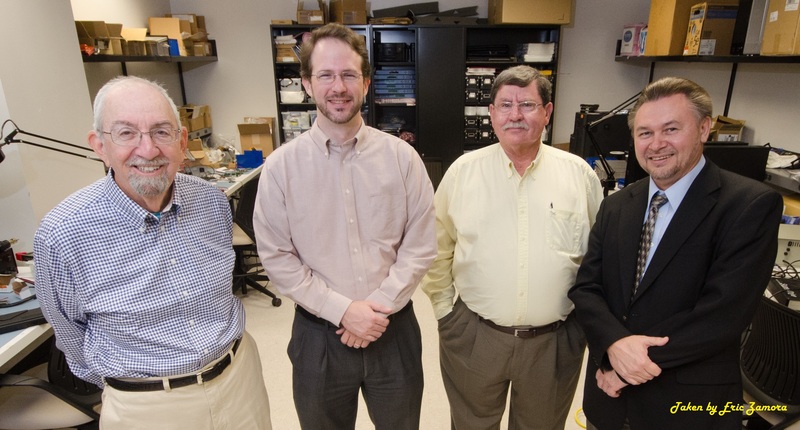 In February 1995, The Electric Power Research Institute (EPRI) donated $1,500,000 (original value) of measurement and other equipment to the Center. 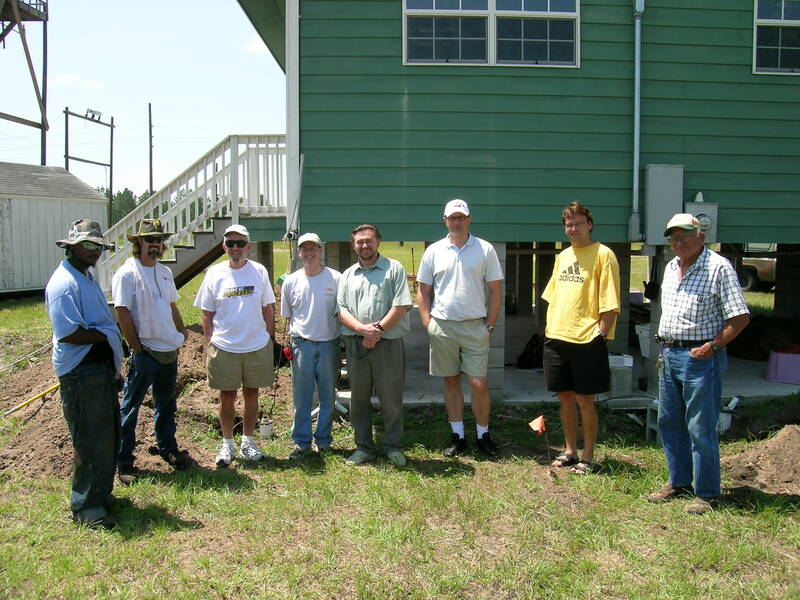 In May 1997, the University of Florida (UF) in Gainesville donated and installed a 2500 square foot mobile home (value $40,000) to the Center in order to make available both research and living space for UF and visiting investigators. Over 40 researchers (excluding UF faculty, students and staff) from 15 countries representing 4 continents have performed experiments at the Center concerned with various aspects of atmospheric electricity, lightning, and lightning protection. More information on the Center and on the results of various experiments are found in the publications listed in the Publication Section below. In March 1996, University of Florida constructed the five-story New Engineering Building (NEB), on the roof of which is the Lightning Observatory, which includes a glass cupola providing over a 180-degree unobstructed view of the horizon. The ICLRT-LOG has been in continious operation since 2004. Electric and magnetic field antennas, an x-ray detector, HF and VHF systems, as well as various high-speed visible-range and infrared video cameras and other optical instruments, have been installed at ICLRT-LOG. 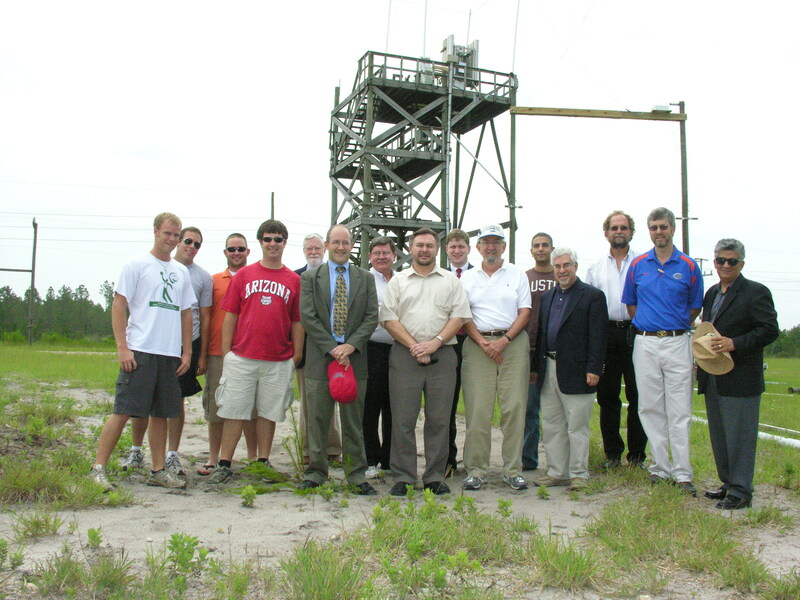 The Observatory is linked to the Camp Blanding facility by a dedicated phone line and is used for studying the various physical processes in natural and triggered lightning. More information about ICLRT-LOG and on the results of various experiments are found in the publications listed in the Publication Section below. The Golf Course Station (ICLRT-GCS) was set up in 2011 in Starke, Florida, at a distance of about 3 km from Camp Blanding. It includes a truck that houses digitizing oscilloscopes and computers, with the various sensors and associated electronics being located on the ground nearby. For two-station LOG/GCS measurements, the trigger signals are sent and received via the Internet.
" Photochemical response of the nighttime mesosphere to electric field heating—Recovery of electron density enhancements", Geophys. Res. Lett., 43, 952–960, 2016, D.A. Kotovsky, and R.C. Moore. "Insights into the ground attachment process of natural lightning gained from an unusual triggered-lightning stroke", J. Geophys. Res., 112, D13113, doi:10.1029/2006JD007682, 2007, J. Jerauld, M.A. Uman, V.A. Rakov, K.J. Rambo, and G.H. Schnetzer. "A current generation type return stroke model that predicts the return stroke velocity", J. Lightning Research, 2007, vol. 1, pp. 32-39, V. Cooray, and V.A. Rakov. "Lightning Return Stroke Speed", J. Lightning Research, 2007, vol. 1, pp. 80-89, V.A. Rakov. "Review of three equivalent approaches for computing electromagnetic fields from an extending lightning discharge", J. Lightning Research, 2007, vol. 1, pp. 90-110, R. Thottappillil, and V.A. Rakov. "Estimation of input energy in rocket-triggered lightning", Geophys. Res. Lett., 33, L05702, 2006, doi:10.1029/2005GL025141, V. Jayakumar, V.A. Rakov, M. Miki, M.A. Uman, G.H. Schnetzer, and K.J. Rambo. "X-ray bursts associated with leader steps in cloud-to-ground lightning", Geophys. Res. Lett., 32, L01803, doi:10.1029/2004GL021782, 2005, J.R. Dwyer, H.K. Rassoul, M. Al-Dayeh, L. Caraway, A. Chrest, B. Wright, E. Kozak, J. Jerauld, M.A. Uman, V.A. Rakov, D.M. Jordan, and K.J. Rambo. "Close electric field signatures of dart leader/return stroke sequences in rocket-triggered lightning showing residual fields", J. Geophys. Res., 110, D07205, doi:10.1029/2004JD005417, 2005, V.A. Rakov, V. Kodali, D.E. Crawford, J. Schoene, M.A. Uman, K.J. Rambo, and G.H. Schnetzer. "On the Transmission Line Model for Lightning Return Stroke Representation", Geophysical Research Letters, Vol. 30, No. 24, 2294, doi:10.1029/2003GL018407, 2003, Baba, Y. and V.A. Rakov. "Die Anfangsphase von Aufwaertsblitzen", ETZ Elektrotech. Autom., 124(3-4), 50-55, 2003, M. Miki, T. Shindo, V.A. Rakov, M.A. Uman, K.J. Rambo, G.H. 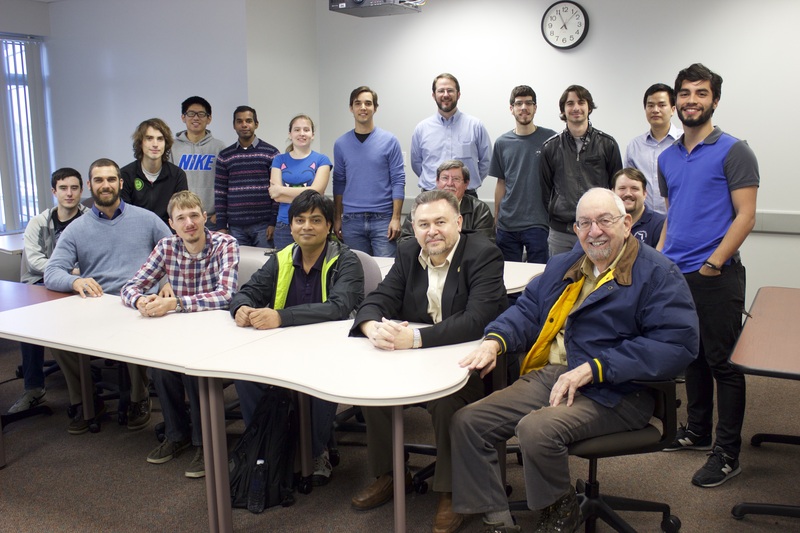 Schnetzer, G. Diendorfer, M. Mair, F. Heidler, W. Zischank, R. Thottappillil, and D. Wang. "M-Component Mode of Charge Transfer to Ground in Lightning Discharges", ETZ Elektrotech. Autom., Heft 3-4, 53, 2003, V.A. Rakov. "Test of the Transmission Line Model and the Traveling Current Source Model with Triggered Lightning Return Strokes at Very Close Range", J. Geophys. Res., Vol. 108, No. D23, 4737, doi:10.1029/2003JD003683, J. Schoene, M.A. Uman, V.A. Rakov, K.J. Rambo, J. Jerauld, and G.H. Schnetzer. "Cutoff and Re-Establishment of Current in Rocket-Triggered Lightning", J. Geophys. Res., Vol. 108, No. D23, 4747, doi:10.1029/2003JD003694, V.A. Rakov, D.E. Crawford, V. Kodali, V.P. Idone, M.A. Uman, G.H. Schnetzer, and K.J. Rambo. "Return-Stroke Multiplicity of Negative Cloud-to-Ground Lightning Flashes", Journal of Applied Meteorology, Volume 42, 1455-1462, V.A. Rakov and G.R. Huffines. "Energetic Radiation Produced by Rocket-Triggered Lightning", Science, 299, 694-697, 2003, J.R. Dwyer, M.A. Uman, H.K. Rassoul, M. Al-Dayeh, E.L. Caraway, J. Jerauld, V.A. Rakov, D.M. Jordan, K.J. Rambo, V. Corbin, and B. Wright. "A Review of Positive and Bipolar Lightning Discharges", Bull. Amer. Meteorol. Soc., June 2003, 767-775, V. A. Rakov.
" Statistical Characteristics of the Electric and Magnetic Fields and Their Time Derivatives 15 m and 30 m from Triggered Lightning", J. Geophys, Res, Vol. 108, No. D6, 4192, doi:10.1029/2002JD002698, 2003, J. Schoene, M.A. Uman, V.A. Rakov, V. Kodali, K.J. Rambo, G.H. Schnetzer. "Measurement of the Division of Lightning Return Stroke Current Among the Multiple Arresters and Grounds of a Power Distribution Line", IEEE Trans. on Power Delivery, Vol. 18, No. 4, 1203-1208, 2003, C.T. Mata, V.A. Rakov, K.J. Rambo, P.Diaz, R.Rey, and M.A.Uman. "A Review of the Interaction of Lightning with Airborne Vehicles", Progress in Aerospace Sciences, 39, 61-81, 2003, M.A. Uman and V.A. Rakov. "Close Lightning Electromagnetic Environment for Aircraft Testing", SAE 2001 Transactions - Journal of Aerospace, pp. 312-319, M.A. Uman, V.A. Rakov, J. Schoene, K.J. Rambo, J. Jerauld, and G.H. Schnetzer. "Surges Superimposed on Continuing Currents in Lightning Discharges", SAE 2001 Transactions - Journal of Aerospace, pp. 380-385, V.A. Rakov. "A Critical Review of Nonconventional Approaches to Lightning Protection", Bull. Amer. Meteorol. Soc., December 2002, 1809-1820, M.A. Uman and V.A. Rakov. "The Effect of Vertically-Extended Strike Object on the Distribution of Current Along the Lightning Channel", J. Geophys. Res., Vol. 107, No. D23, 4699, doi:10.1029/2002JD002119, 2002, F. Rachidi, V.A. Rakov, C.A. Nucci, and J.L. Bermudez. "Correlated Time Derivatives of Current, Electric Field Intensity, and Magnetic Flux Density for Triggered Lightning at 15 m", J. Geophys. Res., 107(D13), art. no. 4160, 10.1029/2000JD000249, 2002, 11 p., M.A. Uman, J. Schoene, V.A. Rakov, K.J. Rambo, and G.H. Schnetzer. "Comment on "Return Stroke Transmission Line Model for Stroke Speed Near and Equal That of Light" by R. Thottappillil, J. Schoene, and M.A. Uman", Geophys. Res. Lett., 29(10), art. no. 1369, 10.1029/2001GL014602, 2002, 3 p., B. Kordi, R. Moini, and V.A. Rakov. "Electric Fields Near Triggered Lightning Channels Measured with Pockels Sensors", J. Geophys. Res., 107(D16), 10.1029/2001JD001087, 2002, 11 p., M. Miki, V.A. Rakov, K.J. Rambo, G.H. Schnetzer, and M.A. Uman. "Direct Lightning Strikes to the Lightning Protective System of a Residential Building: Triggered-Lightning Experiments", IEEE Trans. on Power Delivery, 17(2), 575-586, 2002, V.A. Rakov, M.A. Uman, M.I., Fernandez, C.T. Mata, K.T. Rambo, M.V. Stapleton, and R.R. Sutil. "Return Stroke Transmission Line Model for Stroke Speed Near and Equal that of Light", Geophys. Res. Lett., 28, 3593-3596, 2001, R. Thottappillil, J. Schoene, M.A. Uman. "Positive Blitzentladungen", ETZ Elektrotech. Autom., 122(5), 26-29, 2001, V.A. Rakov. "M-Component Mode of Charge Transfer to Ground in Lightning Discharges", J. Geophys. Res., 106, 22,817-22,831, 2001, V.A. Rakov, D.E. Crawford, K.J. Rambo, G.H. Schnetzer, M.A. Uman, and R. Thottappillil. "The Close Lightning Electromagnetic Environment: Dart-Leader Electric Field Change Versus Distance", J. Geophys. Res., 106, 14,909-14,917, 2001, D.E. Crawford, V.A. Rakov, M.A. Uman, G.H. Schnetzer, K.J. Rambo, M.V. Stapleton, and R.J. Fisher. "On Different Approaches to Calculating Lightning Electric Fields", J. Geophys. Res., 106, 14,191-14,205, 2001, R. Thottappillil and V.A. Rakov. "Transient Response of a Tall Object to Lightning", IEEE Trans. on EMC, 43, 654-661, 2001, V.A. Rakov. "Luminosity Waves in Branched Channels of Two Negative Lightning Flashes", Journal of Atmospheric Electricity, 20, 91-97, 2000, D. Wang, N. Takagi, T. Watanabe, V.A. Rakov, and M.A. Uman. "A New Lightning Return Stroke Model Based on Antenna Theory", J. Geophys. Res., 105, 29,693-29,702, 2000, R. Moini, B. Kordi, G.Z. Rafi, and V.A. Rakov.
" Small Shelters and Safety from Lightning", Golf Course Management, 68, 104-112, 2000, R. Kithil and V. Rakov. "Time Derivative of the Electric Field 10, 14, and 30 m from Triggered Lightning Strokes", J. Geophys. Res., 105, 15,577-15,595, 2000, M.A. Uman, V.A. Rakov, G.H. Schnetzer, K.J. Rambo, D.E. Crawford, and R.J. Fisher. "EMTP Modeling of a Triggered-Lightning Strike to the Phase Conductor of an Overhead Distribution Line", IEEE Trans. on Power Delivery, 15(4), 1175-1181, 2000, C.T. Mata, M.I. Fernandez, V.A. Rakov, and M.A. Uman. "Lightning Makes Glass", Journal of the Glass Art Society, pp. 45-50, 1999, V.A. Rakov. "Observed Leader and Return-Stroke Propagation Characteristics in the Bottom 400 m of the Rocket Triggered Lightning Channel", J. Geophys. Res., 104, 14,369-14,376, 1999, D. Wang, N. Takagi, T. Watanabe, V.A. Rakov, and M.A. Uman. "Performance of MOV Arresters During Very Close, Direct Lightning Strikes to a Power Distribution System", IEEE Trans. on Power Delivery, vol. 14, No. 2, April 1999, pp. 411-418, M.I. Fernandez, K.J. Rambo, V.A. Rakov, and M.A. Uman. "Characterization of the Initial Stage of Negative Rocket-Triggered Lightning ", J. Geophys. Res., 104, 4213-4222, 1999, D. Wang, V.A. Rakov, M.A. Uman, M.I. Fernandez, K.J. Rambo, G.H. Schnetzer, and R.J. Fisher. "Attachment Process in Rocket-Triggered Lightning Strokes", J. Geophys. Res., 104, 2141-2150, 1999, D. Wang, V.A. Rakov, M.A. Uman, N. Takagi, T. Watanabe, D. Crawford, K.J. Rambo, G.H. Schnetzer, R.J. Fisher, and Z.-I. Kawasaki. "New Insights into Lightning Processes Gained from Triggered-Lightning Experiments in Florida and Alabama", J. Geophys. Res., 103, 14,117-14,130 (1998), V.A. Rakov, M.A. Uman, K.J. Rambo, M.I. Fernandez, R.J. Fisher, G.H. Schnetzer, R. Thottappillil, A. Eybert-Berard, J.P. Berlandis, P. Lalande, A. Bonamy, P. Laroche, and A. Bondiou-Clergerie. "Leader Properties Determined with Triggered Lightning Techniques", J. Geophys. Res., 103, 14,109-14,115 (1998), P. Lalande, A. Bondiou-Clergerie, P. Laroche, A. Eybert-Berard, J.-P. Berlandis, B. Bador, A. Bonamy, M.A. Uman, and V.A. Rakov. "Review and Evaluation of Lightning Return Stroke Models Including Some Aspects of Their Application", IEEE Trans. on EMC, vol. 40, No. 4, November 1998, part II, Special Issue on Lightning, pp. 403-426, V.A. Rakov and M.A. Uman. "Lightning Characteristics Based on Data from the Austrian Lightning Locating System", IEEE Trans. on EMC, vol. 40, No. 4, November 1998, part II, Special Issue on Lightning, pp. 452-464, G. Diendorfer, W. Schulz, and V.A. Rakov. "Some Inferences on the Propagation Mechanisms of Dart Leaders and Return Strokes", J. Geophys. Res., 103, 1879-1887, 1998, V.A. Rakov. "Treatment of Retardation Effects in Calculating the Radiated Electromagnetic Fields from the Lightning Discharge", J. Geophys. Res., 103, 9003-9013, 1998, R. Thottappillil, M.A. Uman, and V.A. Rakov. "Luminosity Characteristics of Dart Leaders and Return Strokes in Natural Lightning", J. Geophys. Res., 102, 22,025-22,032, 1997, D.M. Jordan, V.A. Rakov, W.H. Besley, and M.A. Uman.
" Triggered-Lightning Experiments at Camp Blanding, Florida (1993-1995)", Trans. of IEE Japan, Special Issue on Artificial Rocket Triggered Lightning, Vol. 117-B, No. 4, 446-452, 1997, M.A. Uman, V.A. Rakov, K.J. Rambo, T.W. Vaught, M.I. Fernandez, D.J. Cordier, R.M. Chandler, R. Bernstein, and C. Golden. "Distribution of Charge Along the Lightning Channel: Relation to Remote Electric and Magnetic Fields and to Return-Stroke Models", J. Geophys. Res., 102, 6987-7006, 1997, R. Thottappillil, V.A. Rakov, and M.A. Uman. "Bursts of Pulses in Lightning Electromagnetic Radiation: Observations and Implications for Lightning Test Standards", IEEE Trans. on EMC, 38, No. 2, 156-164 (1996) V.A. Rakov, M.A. Uman, G.R. Hoffman, M.W. Masters, and M. Brook. "Properties of M-Components from Currents Measured at Triggered-Lightning Channel Base", J. Geophys. Res., 100, 25,711-25,720 (1995) R. Thottappillil, J.D. Goldberg, V.A. Rakov, M.A. Uman, R.J. Fisher, and G.H. Schnetzer. "Mechanism of the Lightning M Component", J. Geophys. Res., 100, 25,701-25,710 (1995), V.A. Rakov, R. Thottappillil, M.A. Uman, and P.P. Barker. "Luminosity Characteristics of Lightning M Components", J. Geophys. Res., 100, 25,695-25,700 (1995), D.M. Jordan, V.P. Idone, R.E. Orville, V.A. Rakov, and M.A. Uman. "Review of Recent Lightning Research at the University of Florida", Elektrotechnik und Informationstechnik (Austria), 112, No.6, 262-265 (1995), V.A. Rakov, M.A. Uman, and R. Thottappillil. "Characterization of Vertical Electric Fields 500 m and 30 m from Triggered Lightning", J. Geophys. Res., 100, 863-8872 (1995), M. Rubinstein, F. Rachidi, M.A. Uman, R. Thottappillil, V.A. Rakov, and C.A. Nucci. "Microsecond-Scale Electric Field Pulses in Cloud Lightning Discharges", J. Geophys. Res., 99, 14,353-14,360 (1994), Y. Villanueva, V.A. Rakov, M.A. Uman, and M. Brook. "Review of Lightning Properties from Electric Field and TV Observations", J. Geophys. Res., 99, 10,745-10,750 (1994), V.A. Rakov, M.A. Uman, R. Thottappillil. "Origin of Lightning Electric Field Signatures Showing Two Return-Stroke Waveforms Separated in Time by a Millisecond or Less", J. Geophys. Res., 99, 8157-8165 (1994), V.A. Rakov and M.A. Uman.
" Parameters of Triggered Lightning Flashes in Florida and Alabama", J. Geophys. Res., 98, 22,887-22,902 (1993), R.J. Fisher, G.H. Schnetzer, R. Thottappillil, V.A. Rakov, M.A. Uman, and J.D. Goldberg. "Data Acquired with the LLP Lightning Locating Systems" (in Russian), Meteorologiya i Gidrologiya, 7, 105-114 (1993), V.A. Rakov. “How Dangerous Is Lightning?”, Dover, 2011, ISBN-13: 9780486477046 - ISBN-10: 0486477045, 144 p., C. Bouquegneau and V.A. Rakov. “FDTD Computation of Transient Voltages at a Lightning-Struck Tower Considering Ground-Wire Corona”, Int. An analysis of ELF Sferics produced by rocket-triggered lightning, N. A. Dupree and R. C. Moore, International Union of Radio Science, January 8-11, 2014, USNC/URSI, Boulder, CO.
“Evaluation of lightning field-to-current conversion equations using triggered-lightning data: An update”, Abstract AE13B-0351, presented at 2013 Fall Meeting, AGU, San Francisco, Calif., December 9-13, 2013, S. Mallick and V.A. Rakov. “CIGRE Technical Brochure on Lightning Parameters for Engineering Applications”, SIPDA 2013, V.A. Rakov, A. Borghetti, C. Bouquegneau, W.A. Chisholm, V. Cooray, K. Cummins, G. Diendorfer, F. Heidler, A. Hussein, M. Ishii, C.A. Nucci, A. Piantini, O. Pinto, Jr., X. Qie, F. Rachidi, M.M.F. Saba, T. Shindo, W. Schulz, R. Thottappillil, S. Visacro, W. Zischank. The Effect of Lightning Return Stroke Speed on Earth-Ionosphere Waveguide Excitation, Dupree, N., and R. C. Moore (2013), International Union of Radio Science, USNC/URSI, Boulder, CO.
"Some characteristics of positive and bipolar lightning flashes recorded on the Santis tower in 2010 and 2011", ICLP 2012, Vienna, Austria, September 2-7, 2012, C. Romero, M. Rubinstein, M. Paolone, F. Rachidi, V.A. Rakov, and D. Pavanello. "Evolution of current waves propagating along a perfectly conducting cylinder: Application to lightning", ICLP 2012, Vienna, Austria, September 2-7, 2012, A.R. Panicali and V. Rakov. "Upward Lightning Discharges: An Update" (Invited), 7th Asia-Pacific International Conference on Lightning, Chengdu, China, November 1-4, 2011, V.A. Rakov. "Compact Intracloud Lightning Discharges" (Abstract), Workshop on Spontaneous Energy Focusing Phenomena and Multiscale Physics, Singapore, August 30 - September 3, 2010, pp. 31-32, V.A. Rakov and A. Nag. "Measurements of Radiation Field Signatures of Rocket-Triggered Lightning", in Proc. of the 2010 International Conference on High Voltage Engineering and Application, October 11-14, 2010, New Orleans, USA, pp. 40-43 (also p. A-1-5 in the Book of Paper Summaries), S. Mallick, A. Nag, and V. A. Rakov. "High frequency earthing impedance measurements at Camp Blanding, Florida" in Proc. of 30th Int. Conf. on Lightning Protection, Sept. 13-17, 2010, Cagliari, Italy, 1303-1 - 1303-9, A. Rousseau, M. Guthrie, and V. Rakov. "A new comprehensive lightning instrumentation system for Pad 39B at the Kennedy Space Center, Florida" in Proc. of 30th Int. Conf. on Lightning Protection, Sept. 13-17, 2010, Cagliari, Italy, 1030-1 - 1030-7, C.T. Mata, V.A. Rakov, T. Bonilla, A.G. Mata, E. Navedo, and G.P. Snyder. "Characteristics of the initial rising portion of near and far lightning return stroke electric field waveforms", in Proc. of 30th Int. Conf. on Lightning Protection, Sept. 13-17, 2010, Cagliari, Italy, 1128-1 - 1128-7, A. Nag, V.A. Rakov, D. Tsalikis, J. Howard, C.J. Biagi, D. Hill, M.A. Uman, and D.M. Jordan. "Characterization of positive cloud-to-ground lightning discharges", in Poc. of 30th Int. Conf. on Lightning Protection, Sept. 13-17, 2010, Cagliari, Italy, 1126-1 - 1126-15, A. Nag, V.A. Rakov, D. Tsalikis, and J.A. Cramer. "NLDN responses to rocket-triggered lightning at Camp Blanding, Florida, in 2004-2009", in Poc. of 30th Int. Conf. on Lightning Protection, Sept. 13-17, 2010, Cagliari, Italy, 1336-1 - 1336-8, A. Nag, S. Mallick, V.A. Rakov, J. Howard, C.J. Biagi, D. Hill, M.A. Uman, D.M. Jordan, K.J. Rambo, J. Jerauld, B.A. DeCarlo, , K.L. Cummins, and J.A. Cramer. "FDTD Modeling of Polarization of a Conductor in a Quasi-Uniform Electric Field" (Abstract), AMEREM, Ottawa, Canada, July 5-9, 2010, Y. Baba and V.A. Rakov. "Modeling of the lightning-channel corona seath" (Abstract), AMERM, Ottawa, Canada, July 5-9, G. Maslowski and V. A. Rakov. "Optical Spectra of Triggered Lightning, EOS Transactions", AGU, Vol. 90, Fall Meeting Supplement, San Francisco, December 15, 2009, Abstract No. AE21A-0297, T.D. Walker, C. J. Biagi, J. D. Hill, D. M. Jordan, M. A. Uman, H. J. Christian, Jr.
"Review of rocket-triggered lightning experiments in USA" (Abstract), in Proc. of the China International Forum on Lightning Protection and Disaster Mitigation (CLPDM), Chongqing, China, September 8-10, 2009, pp. 2-3, V.A. Rakov. "Lightning Discharges Producing Very Strong Radiation in Both VLF-LF and HF-VHF Ranges", in Proc. of the Int. Conf. on Environmental Electromagnetics (CEEM'2009), Xi'an, China, Sept. 16-20, 2009, 6 p., A. Nag and V.A. Rakov. "Time-synchronized high-speed video images, electric fields, and currents in rocket-and-wire triggered lightning", Eos Trans. AGU, vol. 90, Fall Meet. Suppl., Abstract AE41A-03, C.J. Biagi, J.D. Hill, D.M. Jordan, M.A. Uman, V.A. Rakov. "On FDTD modeling of polarization of conductors in a uniform electric field", Eos Trans. AGU, vol. 90, Fall Meet. Suppl., Abstract AE21A-0304, Y. Baba and V.A. Rakov. "Lightning interaction with launch facilities", Eos Trans. AGU, vol. 90, Fall Meet. Suppl., Abstract AE21A-0300, C.T. Mata and V.A. Rakov. "Rocket-triggered lightning observed by VHF broadband digital interferometers", Eos Trans. AGU, vol. 90, Fall Meet. Suppl., Abstract AE21A-0298, S. Yoshida, C.J. Biagi, V.A. Rakov, M.A. Uman, D.M. Jordan, J.D. Hill, T. Morimoto, T. Ushio, and Z. Kawasaki. "Compact Intracloud Lightning Discharges: Conceptual Mechanism, Modeling, and Electrical Parameters", Eos Trans. AGU, vol. 90, Fall Meet. Suppl., Abstract AE32A-01, A. Nag and V.A. Rakov. "Intense Electromagnetic Radiation from Cloud Lightning Discharges", Proc. of X International Symposium on Lightning Protection (X SIPDA), Curitiba, Brazil, November 9-13, 2009, pp. 507-512 (also pp. 199-200 in the Book of Extended Abstracts), A. Nag, V.A. Rakov, D. Tsalikis, and J.A. Cramer. "Lightning Discharge and Fundamentals of Lightning Protection", Proc. of X International Symposium on Lightning Protection (X SIPDA), Curitiba, Brazil, November 9-13, 2009, pp. 3-16 (also pp. 43-44 in the Book of Extended Abstracts), V.A. Rakov. "Monte Carlo Modeling of Lightning Incidence to Structures" (Abstract), 4th Int. Workshop on Electromagnetic Radiation from Lightning to Tall Structures, Montreal, Canada, July 29, 2009, 2 p., C.T. Mata and V.A. Rakov. "Parameters of Rocket-Triggered Lightning" (Abstract), 4th Int. Workshop on Electromagnetic Radiation from Lightning to Tall Structures, Montreal, Canada, July 29, 2009, 2 p., V.A. Rakov. "A New Approach to Estimation of Effective Height of Towers on Mountain Tops for Lightning Incidence Studies: Sensitivity Analysis", Proc. of X International Symposium on Lightning Protection (X SIPDA), Curitiba, Brazil, November 9-13, 2009, pp. 439-443 (also pp. 175-176 in the Book of Extended Abstracts), H. Zhou, N. Theethayi, G. Diendorfer, R. Thottappillil, and V. Rakov. "Measurements and numerical modeling of currents in lightning protective system of a residential building", Proc. of X International Symposium on Lightning Protection (X SIPDA), Curitiba, Brazil, November 9-13, 2009, pp. 587-592 (also pp. 227-228 in the Book of Extended Abstracts), Maslowski, S. Wyderka, V.A. Rakov, B. DeCarlo, L. Li,, J. Bajorek, and R. Ziemba. "Different modes of charge transfer to ground in upward lightning observed at the Peissenberg tower", Proc. of X International Symposium on Lightning Protection (X SIPDA), Curitiba, Brazil, November 9-13, 2009, pp. 445-450 (also pp. 177-178 in the Book of Extended Abstracts), D. Flache, V.A. Rakov, F. Heidler, W. Zischank, and R. Thottappillil. "Parameters of compact intracloud discharges inferred from their electromagnetic signatures", MOCA-09, Montreal, Canada, July 19-29, 2009, A. Nag, V.A. Rakov, D. Tsalikis, and J.A. Cramer. "The use of high-speed video records to distinguish between leader/return stroke and M-component modes of charge transfer in upward lightning", MOCA-09, Montreal, Canada, July 19-29, 2009, D. Flache, V.A. Rakov, F. Heidler, W. Zischank, and R. Thottappillil. "Effective Height of Towers on Mountain Tops in Lightning Incidence Studies: Sensitivity Analysis" (Abstract), 4th Int. Symp. on Lightning Physics and Effects, Vienna, Austria, May 25-27, 2009, 1 p., H. Zhou, N. Theethayi, G. Diendorfer, R. Thottappillil, and V.A. Rakov. "Leader/Return Stroke versus M-Component Mode of Charge Transfer to Ground in Initial-Stage Pulses of Upward Lightning" (Abstract), 4th Int. Symp. on Lightning Physics and Effects, Vienna, Austria, May 25-27, 2009, 1 p., D. Flache, V.A. Rakov, F. Heidler, W. Zischank, R. Thottappillil. "Electric and Magnetic Fields Predicted by Lightning Return Stroke Electromagnetic Models", in Proc. of 20th Int. Zurich Symp. on EMC, Zurich, Switzerland, January 12-16, 2009, pp. 117-120 (p. 14 in the Book of Abstracts), Y. Baba and V.A. Rakov. "An Improved Model for Prediction of the Dynamics of Lightning Channel Corona Sheath", in Proc. of 20th Int. Zurich Symp. on EMC, Zurich, Switzerland, January 12-16, 2009, pp. 121-124 (p. 15 in the Book of Abstracts), G. Maslowski, V.A. Rakov, J. Cvetic, and M. Miki. "The Lightning Phenomenon" (Foreword), eds. R. Arora and C. Gomes, Daya Publishing House, Delhi, 2009, 2 p., V.A. Rakov. "Electromagnetic Field Pulses Radiated by Lightning Processes", Abstract, National Radio Science Meeting, Boulder, Colorado, January 5-8, 2009, Paper E1-2, A. Nag, V.A. Rakov, B.A. DeCarlo, and D. Tsalikis. "New Experimental Data on Lightning Events Producing Intense VHF Radiation Bursts", Eos Trans. AGU, 89(53), Fall Meet. Suppl., Abstract AE11A-0292, A. Nag, V.A. Rakov, and D. Tsalikis. "Numerical modeling of distribution of currents in the lightning protective system of a residential house", World Automation Congress, Waikoloa, HI, USA, Sept. 28 - Oct. 2, 2008, pp. 1-5, L. Li and V.A. Rakov. "Some features of positive and bipolar cloud-to-ground lightning discharges in Florida", in Proc. of the 3rd International Conference on Lightning Physics and Effects (LPE) and GROUND' 2008, Florianopolis, Brazil, November 16-20, 2008, pp. 14-18, A. Nag, V. A. Rakov, and D. Tsalikis. "Lightning Electromagnetic Environment: From Continuing Current Fields to X-Rays", Keynote Speech, in Proc. of the 3rd International Conference on Lightning Physics and Effects (LPE) and GROUND' 2008, Florianopolis, Brazil, November 16-20, 2008, pp. 1-6, V. A. Rakov. "Evaluation of Lightning Incidence to Elements of a Complex Structure: A Monte Carlo Approach", in Proc. of the 3rd International Conference on Lightning Physics and Effects (LPE) and GROUND' 2008, Florianopolis, Brazil, November 16-20, 2008, pp. 351-354, C. T. Mata and V. A. Rakov. "Development of the Long Sparks near the Junction Point and Ground", Annual Report of the Conference on Electrical Insulation and Dielectric Phenomena (CEIDP), Quebec City, Quebec, Canada, October 26-29, 2008, ID:7A-23, Yu.V. Shcherbakov, V.B. Lebedev, and V.A. Rakov. "Lightning Parameters of Engineering Interest", Lecture Notes, Lightning Protection Course, June 26-27, 2008, Uppsala, Sweden, 23 p., V.A. Rakov. "Characterization of lightning electromagnetic fields and their modeling", Abstracts of Papers Presented at the 6th International Conference on Electrical Engineering (ICEENG 2008), May 27-29, 2008, Cairo, Egypt, p. 231, V.A. Rakov. "Testing of Lightning Protective System of a Residential Structure: Comparison of Data Obtained in Rocket-Trigerred Lightning and Current Surge Generator Experiments", Proc. of Int. Conf. on High Voltage Engineering and Application, Chongqing, China, November 9-12, 2008, G. Maslowski, V.A. Rakov, S. Wyderka, J. Bajorek, B.A. DeCarlo, J. Jerauld, G.H. Schnetzer, J. Schoene, M.A. Uman, K.J. Rambo, D.M. Jordan, W. Krata. "Kinematical characteristics of the long spark in stages of final jump and return stroke", Proc. of XVII Int. Conf. on Gas Discharges and Their Applications, Cardiff, United Kingdom, September 7-12, 2008, pp. 529-532, Yu.V. Shcherbakov, V.B. Lebedev, and V.A. Rakov. "Lightning Electromagnetic Fields in the Immediate Vicinity of a Tall Tower" (Invited Paper), Proc. of XXIX General Assembly of the International Union of Radio Science, August 7-16, 2008, Chicago, Illinois, Y. Baba and V.A. Rakov. "Characteristics of Preliminary Breakdown Pulse Trains in Negative Cloud-to-Ground Discharges", EUROEM 2008, Lausanne, Switzerland, July 21-25, 2008, A. Nag and V.A. Rakov. "Positive and Bipolar Lightning in Florida", EUROEM 2008, Lausanne, Switzerland, July 21-25, 2008, A. Nag, D. Tsalikis, and V.A. Rakov. "Evaluation of lightning return stroke electromagnetic models", Proc. of 29th Int. Conf. on Lightning Protection, Uppsala, Sweden, June 23-26, 2008, Paper 1a-1, 8 p. (p. 7 in the Book of Extended Abstracts), Y. Baba and V.A. Rakov. "LLS-estimated versus directly measured currents based on data from tower-initiated and rocket-triggered lightning", Proc. of 29th Int. Conf. on Lightning Protection, Uppsala, Sweden, June 23-26, 2008, Paper 2-1, 9 p. (p. 43 in the Book of Extended Abstracts), G. Diendorfer, K. Cummins, V.A. Rakov, A.M. Hussein, F. Heidler, M. Mair, A. Nag, H. Pichler, W. Schulz, J. Jerauld, and W. Janischewskyj. "Bonding versus isolating approaches in lightning protection practice", Proc. of 29th Int. Conf. on Lightning Protection, Uppsala, Sweden, June 23-26, 2008, Paper 10-5, 11 p. (p. 209 in the Book of Extended Abstracts), V.A. Rakov. "NLDN responses to rocket-triggered lightning at Camp Blanding, Florida, in 2004, 2005, and 2007", Proc. of 29th Int. Conf. on Lightning Protection, Uppsala, Sweden, June 23-26, 2008, Paper 2-5, 8 p. (p. 47 in the Book of Extended Abstracts), A. Nag, J. Jerauld, V.A. Rakov, M.A. Uman, K.J. Rambo, D.M. Jordan, B.A. DeCarlo, J. Howard, K.L. Cummins, and J.A. Cramer. "Electromagnetic Models of Lightning" (Invited Paper), Proc. of 19th Int. Symp. on EMC, Singapore, May 19-22, 2008, pp. 243-246, Y. Baba and V.A. Rakov. "An Experimental Study of Electric Field Pulses Produced by Cloud and Ground Lightning Discharges" (Invited Paper), Proc. of 19th Int. Symp. on EMC, Singapore, May 19-22, 2008, pp. 235-238, A. Nag and V.A. Rakov. "The velocity of the long spark development in stages of final jump and return stroke", Proc. of the Int. Conf. on Lightning and Static Electricity (ICOLSE), Paris, France, August 28-31, 2007, Yu.V. Shcherbakov, V.A. Rakov, and V.B. Lebedev. "Does Wilson's cloud chamber provide clues on lightning initiation in thunderclouds? ", Eos Trans. AGU, 88(52), 2007 Fall Meet. Suppl., Abstract AE31A-0021, V. Cooray and V. Rakov. "Measurements of Wideband Electric Fields and Their Derivatives in Conjunction with HF and VHF Radiation Produced by Lightning Discharges", Eos Trans. AGU, 88(52), 2007 Fall Meet. Suppl., Abstract AE44A-09, A. Nag, D. Tsalikis, and V.A. Rakov. "X-ray production in laboratory sparks in air", Eos Trans. AGU, 88(52), 2007 Fall Meet. Suppl., Abstract AE31A-0046, M. Rahman, V. Cooray, and V.A. Rakov. "Lightning strikes to tall towers: Currents inferred from electromagnetic fields versus directly measured currents", Proc. of IX International Symposium on Lightning Protection (IX SIPDA), Foz do Iguaçu, Brazil, November 26-30, 2007, pp. 511-516, Y. Baba and V.A. Rakov. "A 'hybrid current source' lightning return stroke model", Proc. of IX International Symposium on Lightning Protection (IX SIPDA), Foz do Iguaçu, Brazil, November 26-30, 2007, pp. 13-20, V. Cooray and V. Rakov. "Lightning Phenomenology and Parameters Important for Lightning Protection", Proc. of IX International Symposium on Lightning Protection (IX SIPDA), Foz do Iguaçu, Brazil, November 26-30, 2007, pp. 541-564, V.A. Rakov. "Characterization of Electric Field Pulses Produced by Cloud and Ground Lightning Discharges", Proc. 4th International Symposium on Electromagnetic Compatibility, October 23-25, 2007, Qingdao, China, A. Nag, and V.A. Rakov. "Initial experience with recording rocket-triggered and natural lightning in Florida using Russian-made image converter cameras with image intensification", Proc. of 6th Russian Conference on Atmospheric Electricity, Nizhny Novgorod, Russia, October 1-7, 2007, pp. 150-152, B.N. Gorin, V.B. Lebedev, G.G. Feldman, R.C. Olsen, V.A. Rakov, and M.A. Uman. "Duality of lumped- and distributed-source lightning return-stroke models", Proc. of XVII EMD'2007, Bialystok, Poland, G. Maslowski and V.A. Rakov. "Characterization of close negative first return stroke electric fields and field derivatives", Proc. of the Int. Conf. on Lightning and Static Electricity (ICOLSE), Paris, France, August 28-31, 2007, J. Jerauld, M.A. Uman, V.A. Rakov, K.J. Rambo, D.M. Jordan, and G.H. Schnetzer. "Lightning Electric and Magnetic Fields", Workshop and Tutorial Notes, 2007 IEEE Int. Symp. on EMC, Honolulu, Hawaii, July 8-13, 2007, pp. 349-358, V.A. Rakov. "Lightning Currents for Engineering Applications", Workshop and Tutorial Notes, 2007 IEEE Int. Symp. on EMC, Honolulu, Hawaii, July 8-13, 2007, pp. 337-348, G. Diendorfer, V.A. Rakov, A. Borghetti, C.A. Nucci, and M. Paolone. "Test of Russian K004M image converter camera when recording natural lightning in Florida", Proc. of SPIE, Vol. 6279, paper 62792D, 10 p., 2007, V.B. Lebedev, G.G. Feldman, B.N. Gorin, V.A. Rakov, M.A. Uman, and R.C. Olsen. "Test of Russian K004M and K008 image converter cameras when recording triggered lightning in Florida", Proc. of SPIE, Vol. 6279, paper 62790D, 11 p., 2007, V.B. Lebedev, G.G. Feldman, B.N. Gorin, V.A. Rakov, M.A. Uman, and R.C. Olsen. "High-speed optical studies of the long sparks in very transient stages", Proc. of SPIE, Vol. 6279, paper 62795D, 9 p., 2007, Yu. V. Shcherbakov, V.B. Lebedev, V.A. Rakov, G.G. Feldman, B.N. Gorin, V.S. Syssoev, and M.A. Karpov. "On the NOx production in lightning flashes", European COST Action P18, Second Int. Symp. on Lightning and Effects, Vienna, Austria, April 19-20, 2007, V. Cooray, M. Rahman, and V. Rakov. "Review of Equivalent Methods for Computing Electromagnetic Fields from Extending Lightning Discharge", European COST Action P18, Second Int. Symp. on Lightning and Effects, Vienna, Austria, April 19-20, 2007, R. Thottappillil, and V.A. Rakov. "On the Effective Height of Towers on Mountaintop from the Perspective of Lightning Attachment", European COST Action P18, Second Int. Symp. on Lightning and Effects, Vienna, Austria, April 19-20, 2007, N. Theethayi, M. Becerra, R. Thottappillil, G. Diendorfer, V. Cooray, F. Heidler, and V. Rakov. "Equivalent Approaches for Computing Electromagnetic Fields from an Extending Lightning Discharge" (Abstract), PIERS 2007, Beijing, China, R. Thottappillil and V.A. Rakov. "Ratio of First to Subsequent Return Stroke Electric Field Peaks for Negative Cloud-to-Ground Lightning", in Proc. of the Int. Symp. on Lightning Protection (IX SIPDA), Foz do Iguacu, Brazil, Nov. 26-30, 2007, pp. 133-138, A. Nag and V.A. Rakov. "Responses of Airport Runway Lighting System to Direct Lightning Strikes: A Modelling Attempt", in Proc. of the Int. Symp. on Lightning Protection (IX SIPDA), Foz do Iguacu, Brazil, Nov. 26-30, 2007, pp. 204-207, N. Theethayi, V.A. Rakov, and R. Thottappillil. Electric fields at the top of tall building associated with nearby lightning return strokes", in Proc. of the 18th Int. Zurich Symp. on EMC, Munich, Germany, September 24-28, 2007, pp. 179-182, Y. Baba and V.A. Rakov. "A new formulation for lightning return-stroke models of engineering type", in Proc. of the 18th Int. Zurich Symp. on EMC, Munich, Germany, September 24-28, 2007, pp. 175-178, G. Maslowski and V.A. Rakov. "Lightning-induced currents in a buried loop conductor and a grounded vertical conductor", in Proc. of the 18th Int. Zurich Symp. on EMC, Munich, Germany, September 24-28, 2007, pp. 171-174, J. Schoene, M.A. Uman, V.A. Rakov, J. Jerauld, J. Howard, B.D. Hanley, K.J. Rambo, and B. DeCarlo. "On the NOx production in lightning flashes", in Proc. of the 13th Int. Conf. on Atmospheric Electricity, Beijing, China, August 13-17, 2007, pp. 476-479, V. Cooray, M. Rahman, and V. Rakov. "A new lightning return stroke model based on the transmission line theory including corona effects", in Proc. of the 13th Int. Conf. on Atmospheric Electricity, Beijing, China, August 13-17, 2007, V. Cooray, and V. Rakov. "Effects of lightning M-components in the middle atmosphere", in Proc. of the 13th Int. Conf. on Atmospheric Electricity, Beijing, China, August 13-17, 2007, pp. 781-784, S.A. Yashunin, E.A. Mareev, and V.A. Rakov. "Analysis of microsecond- and submicrosecond-scale electric field pulses produced by cloud and ground lightning discharges", in Proc. of the 13th Int. Conf. on Atmospheric Electricity, Beijing, China, August 13-17, 2007, pp. 378-381, A. Nag, B. DeCarlo, and V.A. Rakov. "Lightning discharges producing pulse trains indicative of preliminary breakdown in cloud-to-ground lightning but not followed by return strokes", in Proc. of the 13th Int. Conf. on Atmospheric Electricity, Beijing, China, August 13-17, 2007, pp. 447-450, A. Nag, and V.A. Rakov. "The slow front and fast transition in close electric and magnetic field and field-derivative waveforms produced by first strokes of natural lightning", in Proc. of the 13th Int. Conf. on Atmospheric Electricity, Beijing, China, August 13-17, 2007, pp. 517-520, J. Jerauld, M.A. Uman, V.A. Rakov, K.J. Rambo, D.M. Jordan, and G.H. Schnetzer. "Test of the image converter camera complex for research of discharges in long air gaps and lightning", in Proc. of the 13th Int. Conf. on Atmospheric Electricity, Beijing, China, August 13-17, 2007, pp. 509-512, V.B. Lebedev, G.G. Feldman, B.N. Gorin, Yu. V. Shcherbakov, V.S. Syssoev, and V.A. Rakov. "Effects of tall building on lightning electromagnetic fields", 5th Int. Workshop on High Voltage Engineering (IWHV), Shizuoka, Japan, February 1-2, 2007, Y. Baba and V.A. Rakov. "A study of current waves propagating along vertical conductors and their associated electromagnetic fields", in Proc. of the 7th Int. Conf. on Power Systems Transients (IPST), Lyon, France, June 4-7, 2007, Y. Baba and V.A. Rakov. "Test of Russian K004M image converter camera when recording natural lightning in Florida", Abstract, 27th Int. Congress on High-Speed Photography and Photonics (ICHPP), Xi'an, China, September 17-22, 2006, paper 036, pp. 76-77, V.B. Lebedev, G.G. Feldman, B.N. Gorin, V.A. Rakov, M.A. Uman, and R.C. Olsen. "Test of Russian K004M and K008 image converter cameras when recording triggered lightning in Florida", Abstract, 27th Int. Congress on High-Speed Photography and Photonics (ICHPP), Xi'an, China, September 17-22, 2006, paper 035, pp. 75-76, V.B. Lebedev, G.G. Feldman, B.N. Gorin, V.A. Rakov, M.A. Uman, and R.C. Olsen. "Pulse width analysis of x-ray bursts occurring in natural and triggered lightning", Eos Trans. AGU, 87(52), 2006 Fall Meet. Suppl., Abstract AE44A-05, Z. Saleh, J. Dwyer, L. Coleman, H. Rassoul, M.A. Uman, V.A. Rakov, J. Howard, and J. Jerauld. "Dart-stepped leaders observed in rocket-triggered lightning at Camp Blanding, Florida, in 2003-2005", Eos Trans. AGU, 87(52), 2006 Fall Meet. Suppl., Abstract AE44A-02, R.C. Olsen III, D.M. Jordan, V.A. Rakov, J. Jerauld, M.A. Uman, and K.J. Rambo. "A natural downward cloud-to-ground lightning flash having two positive strokes followed by three or more negative strokes", Eos Trans. AGU, 87(52), 2006 Fall Meet. Suppl., Abstract AE44A-04, J.E. Jerauld, M.A. Uman, V.A. Rakov, K.J. Rambo, D.M. Jordan, and G.H. Schnetzer. "Direct measurements of NOx produced by lightning", Eos Trans. AGU, 87(52), 2006 Fall Meet. Suppl., Abstract AE53A-0289, M. Rahman, V. Cooray, V.A. Rakov, M.A. Uman, P. Liyanage, B.A. DeCarlo, J. Jerauld, and R.C. Olsen III. "High-speed optical studies of the long sparks in very transient stages", Abstract, 27th Int. Congress on High-Speed Photography and Photonics (ICHPP), Xi'an, China, September 17-22, 2006, Yu. V. Shcherbakov, V.B. Lebedev, V.A. Rakov, G.G. Feldman, B.N. Gorin, V.S. Syssoev, and M.A. Karpov. "Expressions for far fields at high altitudes from lightning return stroke", in Proc. of the 2nd International Conference on Lightning Physics and Effects (LPE) and GROUND' 2006, Maceio, Brazil, November 26-29, 2006, R. Thottappillil, and V.A. Rakov. "High-speed optical studies of upward leader and return stroke of the long sparks", in Proc. of the 2nd International Conference on Lightning Physics and Effects (LPE) and GROUND' 2006, Maceio, Brazil, November 26-29, 2006, Yu. V. Shcherbakov, V.B. Lebedev, G.G. Feldman, and V.A. Rakov. "Electromagnetic radiation from long sparks", in Proc. of the 2nd International Conference on Lightning Physics and Effects (LPE) and GROUND' 2006, Maceio, Brazil, November 26-29, 2006, V.N. Ponomarev, Yu. V. Shcherbakov, and V.A. Rakov. "Lightning: Phenomenology and Parameters Important for EMC", in Proc. of the Fourth Asia-Pacific Conference on Environmental Electromagnetics (CEEM 2006), Dalian, China, August 1-4, 2006, vol. 1, pp. 283-288, V.A. Rakov. "Lightning Discharges and Insulation Coordination", Short Course, 2006 Brazilian Symposium on Electric Networks (SBSE 2006), Campina Grande, Paraiba, Brazil, July 17-19, 2006, V.A. Rakov and J. Pissolato Filho. "NLDN Responses to Lightning Initiated Using the Rocket-and-Wire Technique", 2006 ILDC/ILMC, Tucson, Arizona, April 24-27, 2006, 1 p., V.A. Rakov and J.E. Jerauld. "Far fields at an elevation from lightning return stroke" (Abstract), First Int. Symp. on Lightning Physics and Effects, COST P18, Vienna, April 3-4, 2006, p. 21, R. Thottappillil and V.A. Rakov. "Lightning", About Plasmas, eds. P. Rivenberg and G. Rogoff, Coalition for Plasma Science, 2006, 2 p., V.A. Rakov. "Lightning Electric and Magnetic Fields", 17th Int. Zurich Symp. on EMC, Singapore, February 27-March 3, 2006, Workshop Notes, pp. 20-28, V.A. Rakov. "Lightning Currents for Engineering Applications", 17th Int. Zurich Symp. on EMC, Singapore, February 27-March 3, 2006, Workshop Notes, pp. 1-19, A. Borghetti, G. Diendorfer, and V. Rakov. "Lightning-Induced Currents in Buried Coaxial Cables", AMEREM 2006, Albuquerque, July 9-14, 2006, M. Paolone, E. Petrache, F. Rachidi, C.A. Nucci, V. Rakov, M. Uman D. Jordan, K. Rambo, J. Jerauld, M. Nyffeler, and J. Schoene. "A current generation type return stroke model that predicts the return stroke velocity", in Proc. 28th Int. Conf. on Lightning Protection, Kanazawa, Japan, September 18-22, 2006, pp. 351-356, V. Cooray, and V.A. Rakov. "On the need to include ground reflections in lightning return stroke models of current generation type", in Proc. 28th Int. Conf. on Lightning Protection, Kanazawa, Japan, September 18-22, 2006, pp. 181-186, V. Cooray, and V.A. Rakov. On the electric field at the tip of dart leaders in lightning flashes", in Proc. 28th Int. Conf. on Lightning Protection, Kanazawa, Japan, September 18-22, 2006, pp. 339-344, V. Cooray, M. Becerra, and V.A. Rakov. "Characterization of current pulses superimposed on the continuous current in upward lightning initiated from tall objects and in rocket-triggered lightning", in Proc. 28th Int. Conf. on Lightning Protection, Kanazawa, Japan, September 18-22, 2006, pp. 83-88, M. Miki, T. Shindo, V.A. Rakov, M.A. Uman, G. Diendorfer, M. Mair, F. Heidler, W. Zischank, R. Thottappillil, and D. Wang. "Common features of return stroke optical traveling waves and their interpretations", in Proc. 28th Int. Conf. on Lightning Protection, Kanazawa, Japan, September 18-22, 2006, pp. 257-260, D. Wang, V.A. Rakov, N. Takagi, and T. Watanabe. "Effect of traveling-waves of current on the electromagnetic response of a tall Franklin rod considering various lightning return stroke models", in Proc. 28th Int. Conf. on Lightning Protection, Kanazawa, Japan, September 18-22, 2006, pp. 273-278, E.P. Krider, S. Guerrieri, F. Napolitano, C.A. Nucci, M. Paolone, F. Rachidi, and V.A. Rakov. "New insights into dynamics and properties of the lightning-channel corona sheath", in Proc. 28th Int. Conf. on Lightning Protection, Kanazawa, Japan, September 18-22, 2006, pp. 175-180, G. Maslowski and V.A. Rakov. "Triggered-Lightning Testing of the Protective System of a Residential Building: 2004 and 2005 Results", in Proc. 28th Int. Conf. on Lightning Protection, Kanazawa, Japan, September 18-22, 2006, pp. 628-633, B.A. DeCarlo, V.A. Rakov, J. Jerauld, G.H. Schnetzer, J. Schoene, M.A. Uman, K.J. Rambo, V. Kodali, D.M. Jordan, G. Maxwell, S. Humeniuk, and M. Morgan. "Transmission Line Model of Lightning Return Strokes Generalized to Include a Tall Grounded Strike Object and an Upward Connecting Leader", in Proc. of the 17th Int. Zurich Symp. on EMC, Singapore, February 27-March 3, 2006, Y. Baba and V.A. Rakov. "The U.S. National Lightning Detection Network: Post-upgrade status" in Proc. of the 2nd Conference on Meteorological Applications of Lightning, Atlanta, Georgia (part of the 2006 AMS Annual Meeting), January 29-February 2, 2006, K.L. Cummins, J.A. Cramer, C.J. Biagi, E.P. Krider, J. Jerauld, M.A. Uman, and V.A. Rakov. "Lightning Protection: History and Modern Approaches" in Proc. of the 2nd Conference on Meteorological Applications of Lightning, Atlanta, Georgia (part of the 2006 AMS Annual Meeting), January 29-February 2, 2006, Invited Paper, V.A. Rakov. "Evaluation of the performance characteristics of lightning locating systems using rocket-triggered lightning", in Proc. of Int. Symp. on Lightning Protection (VIII SIPDA), Sao Paulo, Brazil, Nov. 21-25, 2005, 697-715, V.A. Rakov. "X-ray observations of natural and rocket-triggered lightning by the Thunderstorm Energetic Radiation Array (TERA)", Eos Trans. AGU, 86(52), 2005 Fall Meet. Suppl., Abstract AE12A-07, J. Howard, J.R. Dwyer, J. Jerauld, M.A. Uman, Z. Saleh, H.K. Rassoul, V.A. Rakov, M. Al-Dayeh, E. Caraway, L. Coleman, D. Concha, and D.M. Jordan. "Lightning Initiation Mechanisms: A Review and New Data on Submicrosecond "Lightning Initiation Pulses"", Eos Trans. AGU, 86(52), 2005 Fall Meet. Suppl., Abstract AE32A-06 INVITED, V.A. Rakov and B.A. DeCarlo. "Influence of the Presence of a Tall Grounded Strike Object on Lightning Electromagnetic Fields", The Science and Engineering Review of Doshisha University, vol. 46, No. 3, October 2005, pp. 151-156, Y. Baba and V.A. Rakov. "Review of Triggered-Lightning Experiments at Camp Blanding, Florida" (Abstract), 13th ICEE 2005, Zanjan, May 10-12, 2005, p. 19, V.A. Rakov. "X-ray emission from thunderstorms and lightning", in Proc. of Int. Symp. "Topical Problems of Nonlinear Wave Physics (NWP-2005), Nonlinear Phenomena in Environmental Research, St. Petersburg - Nizhny Novgorod, Russia, August 2-9, 2005, pp. 28-29, J.R. Dwyer, H.K. Rassoul, M.A. Uman, V.A. Rakov, and J. Jerauld. "On calculating lightning-induced overvoltages in the presence of a tall strike object", in Proc. of Int. Symp. on Lightning Protection (VIII SIPDA), Sao Paulo, Brazil, Nov. 21-25, 2005, pp. 11-16, Y. Baba and V.A. Rakov. "Recent developments in time-domain antenna theory modeling of lightning return strokes" (Abstract), XXVIIth General Assembly of URSI, New Delhi, India, October 23-29, 2005, R. Moini, S.H.H. Sadeghi, S. Bonyadi, and V.A. Rakov. "Calculation of lightning electromagnetic fields: A review" (Abstract), XXVIIth General Assembly of URSI, New Delhi, India, October 23-29, 2005, R. Thottappillil and V.A. Rakov. "Influence of the presence of a tall strike object on lightning electromagnetic fields" (Abstract), XXVIIth General Assembly of URSI, New Delhi, India, October 23-29, 2005, Y. Baba and V.A. Rakov. "Incorporation of distributed capacitive loads in the antenna theory model of lightning return stroke", in Book of Abstracts of the 16th Int. Zurich Symp. on EMC, Zurich, Switzerland, 2005, p. 6, S. Bonyadi-ram, R. Moini, S.H.H. Sadeghi, and V.A. Rakov. "Features of Application of Image Converter Cameras for Research on Lightning and Discharges in Long Air Gaps", In Proc. of the 26th Int. Congr. on High-Speed Photography and Photonics, Alexandria, Virginia, USA, Sept. 19-24, 2004, vol. 5580, pp. 887-897, V.B. Lebedev, G.G. Feldman, B.N. Gorin, Y.V. Shcherbakov, V.S. Syssoev, V.A. Rakov. "Comparison of Lightning Return Stroke Electric Fields Predicted by the Transmission Line and Antenna Theory Models", in Proc. of the 15th Int. Zurich Symp. on EMC, Zurich, Switzerland, 2003, pp. 551-556, B. Kordi, R. Moini, and V.A. Rakov. "Lightning Return Stroke Modeling: Recent Developments", in Proc. of the 3rd Brazilian Workshop on Atmospheric Electricity / International Conference on Grounding and Earthing, Rio de Janeiro, Brazil, November 4-7, 2002, pp. 85-96, V.A. Rakov. "Lightning and Tall Structures", in Proc. of the International Lightning Detection Conference, Tucson, Arizona, October 16-18, 2002, 7 p. V.A. Rakov. "Statistical Characteristics of Lightning Discharges", in Proc. of the Int. Conf. on Probabilistic Methods Applied to Power Systems (PMAPS), Naples, Italy, September 22-26, 2002, pp. 677-682, V.A. Rakov. "Characteristics of Distant Lightning Electric Fields", in Proc. of the Int. Conf. on Probabilistic Methods Applied to Power Systems (PMAPS), Naples, Italy, September 22-26, 2002, pp. 703-707, A. Pavlick, D.E. Crawford, and V.A. Rakov. ""Measurement of the Division of Lightning Return Stroke Current Among the Multiple Arresters and Grounds of a Power Distribution Line" (Abstract), IEEE Power Engineering Review, September 2002, pp. 60-61, C.T. Mata, V.A. Rakov, K.J. Rambo, P. Diaz, R. Rey, and M.A. Uman. ""Direct Lightning Strikes to the Lightning Protective System of a Residential Building: Triggered-Lightning Experiments" (Abstract), IEEE Power Engineering Society Meeting, July 21-25, 2002, Chicago, Illinois, Vol. 1, p. 367, V.A. Rakov, M.A. Uman, M.I., Fernandez, C.T. Mata, K.T. Rambo, M.V. Stapleton, and R.R. Sutil. "Characterization of the Initial Stage of Upward-Initiated Lightning", in Proc. of the 26th Int. Conf. on Lightning Protection, Cracow, Poland, September 2-6, 2002, pp. 14-19, M. Miki, T. Shindo, V.A. Rakov, M.A. Uman, K.J. Rambo, G.H. 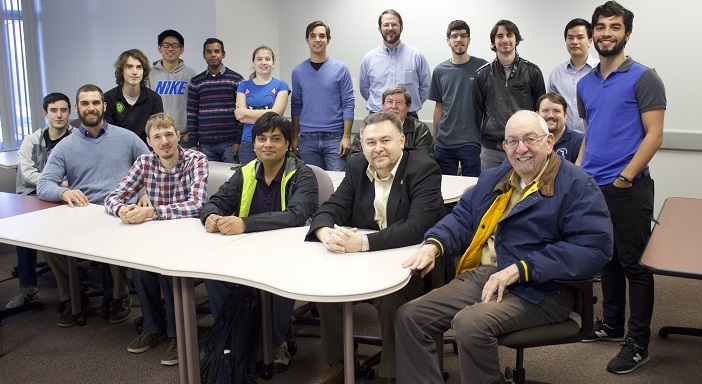 Schnetzer, G. Diendorfer, M. Mair, F. Heidler, W. Zischank, R. Thottappillil, and D. Wang. "EMTP Modeling of Direct Lightning Strikes to the Lightning Protective System of a Residential Building", in Proc. of the 26th Int. Conf. on Lightning Protection, Cracow, Poland, September 2-6, 2002, pp. 631-636, R.R. Sutil, V.A. Rakov, and M.A. Uman. "Division of Lightning Current and Charge Among Multiple Arresters and Grounds of a Power Distribution Line", in Proc. of the 26th Int. Conf. on Lightning Protection, Cracow, Poland, September 2-6, 2002, pp. 585-590, C.T. Mata, V.A. Rakov, and M.A. Uman. "Lightning Discharge, Moderator's Report", in Proc. of the 26th Int. Conf. on Lightning Protection, Cracow, Poland, September 2-6, 2002, pp. 35-36, O. Farish and V. Rakov. ""Direct Lightning Strikes to the Lightning Protective System of a Residential Building: Triggered-Lightning Experiments" (Abstract), IEEE Power Engineering Review, February 2002, p. 63, V.A. Rakov, M.A. Uman, M.I., Fernandez, C.T. Mata, K.T. Rambo, M.V. Stapleton, and R.R. Sutil. "Lightning Parameters Important for Lightning Protection", in Proc. of the VI Int. Symp. on Lightning Protection (VI SIPDA), Santos, Brazil, November 19-23, 2001, pp. 393-412, V.A. Rakov. "Characterization of the Initial Stage of Object-Initiated and Rocket-Triggered Lightning", (Abstract), Eos Trans. Suppl., AGU, vol. 82, No. 47, Nov. 20, 2001, p. F148, V.A. Rakov, M. Miki, T. Shindo, G. Diendorfer, M.Maier, F. Heidler, W. Zischank, R. Thottappillil, D. Wang, M. Uman, K. Rambo, and G. Schnetzer. "An Evaluation of the Performance Characteristics of the NLDN Using Triggered Lightning", (Abstract), Eos Trans. Suppl., AGU, vol. 82, No. 47, Nov. 20, 2001, p. F142, J.A. Cramer, M.J. Murphy, D. Crawford, V.A. Rakov, and K.L. Cummins. "Lightning Peak Current Distributions from Measurements on Tall Objects", in Proc. of the 2nd Int. Symp. on Winter Lightning in Hokuriku, paper PD-2, 2 p., Toyama, Japan, September 17-18, 2001, V.A. Rakov. "Electric Fields Near Lightning Channels Measured Using Pockels Sensors", in Proc. of the 5th Int. 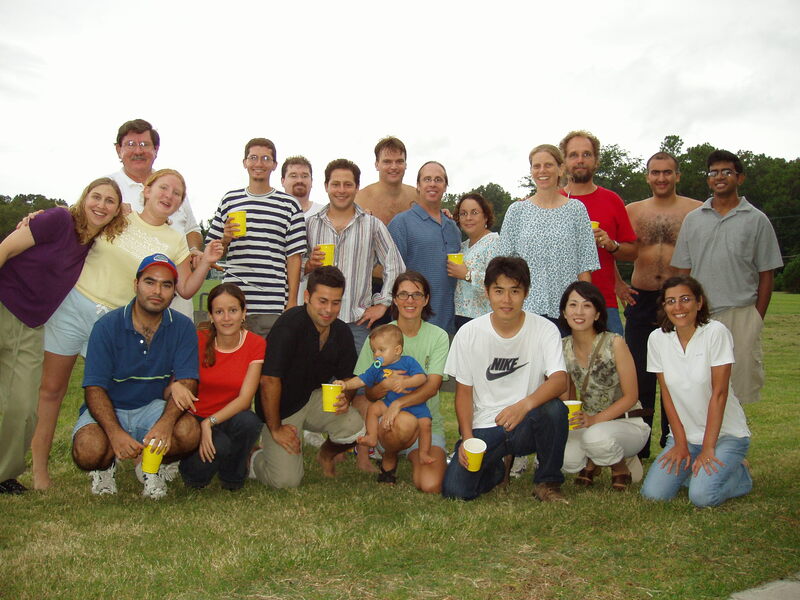 Workshop on Physics of Lightning, Nagoya, Japan, September 10-13, 2001, pp. 47-48, M. Miki, V.A. Rakov, K.J. Rambo, G.H. Schnetzer, M.A. Uman. "Close Lightning Electromagnetic Environment for Aircraft Testing", in Proc. of the Int. Conf. on Lightning and Static Electricity, Seattle, Washington, September 10-14, 2001, paper 2880, 8 p., M.A. Uman, V.A. Rakov, J. Schoene, K.J. Rambo, J. Jerauld, and G.H. Schnetzer. "Surges Superimposed on Continuing Currents in Lightning Discharges", in Proc. of the Int. Conf. on Lightning and Static Electricity, Seattle, Washington, September 10-14, 2001, paper 2895, 6 p., V.A. Rakov. "Small Shelters and Safety from Lightning", in Proc. of the Int. Conf. on Lightning and Static Electricity, Seattle, Washington, September 10-14, 2001, paper 2896, 3 p., R. Kithil and V. Rakov. "Close Lightning Electromagnetic Environment for Aircraft Testing", (Abstract), Aerospace Congress and Exhibition, Seattle, Washington, September 10-14, 2001, p. 86, M.A. Uman, V.A. Rakov, J. Schoene, K.J. Rambo, J. Jerauld, and G.H. Schnetzer. "Surges Superimposed on Continuing Currents in Lightning Discharges", (Abstract), Aerospace Congress and Exhibition, Seattle, Washington, September 10-14, 2001, p. 101, V.A. Rakov. "Small Shelters and Safety from Lightning", (Abstract), Aerospace Congress and Exhibition, Seattle, Washington, September 10-14, 2001, p. 102, R. Kithil and V. Rakov. "Transient Response of a Tall Object to Lightning", in Proc. of the 2001 Int. 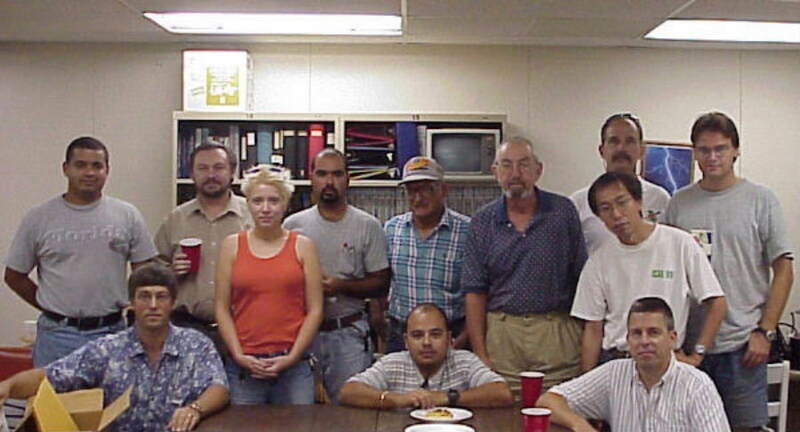 Workshop on Electromagnetic Radiation from Lightning to Tall Structures, Toronto, Canada, August 2001, V.A. Rakov. ""On the Computation of Electric Fields from a Lightning Discharge in Time Domain", in Proc. of the 2001 IEEE EMC Int. Symp., Montreal, Canada, August 13-17, 2001, pp. 1030-1035, R. Thottappillil and V.A. Rakov. ""Characterization of Lightning Electromagnetic Fields and Their Modeling", in Proc. of the 14th Int. Zurich Symp. on EMC, Supplement, Zurich, Switzerland, February 20-22, 2001, pp. 3-16, V.A. Rakov. "Triggered-Lightning Experiments Conducted in 2000 at Camp Blanding, Florida", (Abstract), Eos Trans. Suppl., AGU, vol. 81, No. 48, Nov. 28, 2000, p. F90, V.A. Rakov, M.A. Uman, K.J. Rambo, G.H. Schnetzer, and M. Miki. "Measuring Electric Fields Near the Lightning Channel Using Pockels Sensors", (Abstract), Eos Trans. Suppl., AGU, vol. 81, No. 48, Nov. 28, 2000, p. F49, M. Miki, V.A. Rakov, M.A. Uman, K.J. Rambo, and G.H. Schnetzer. "Lightning Protection of Structures and Personal Safety" , 2000 Int. Lightning Detection Conf., Tucson, Arizona, November 7-8, 2000, 10 p., V.A. Rakov. "Lightning Discharge, Moderator's Report", in Proc. of the 25th Int. Conf. on Lightning Protection, Rhodes, Greece, September 18-22, 2000, pp. 41-43, V. Rakov. "Triggered Lightning Testing of an Airport Runway Lighting System", in Proc. of the 25th Int. Conf. on Lightning Protection , Rhodes, Greece, September 18-22, 2000, pp. 825-830, M. Bejleri, V.A. Rakov, M.A. Uman, K.J. Rambo, C.T. Mata, and M.I. Fernandez. "Positive and Bipolar Lightning Discharges: A Review", in Proc. of the 25th Int. Conf. on Lightning Protection , Rhodes, Greece, September 18-22, 2000, pp. 103-108, V.A. Rakov. "Active Rods in Lightning Protection" (in Polish), in Proc. of Conf. on Power Networks (SIECI'2000), Wroclaw, 2000, K.L. Chrzan, V. Rakov, and M. Labunski. "Lightning Protection of Distribution Lines Using Metal Oxide Surge Arresters" (in Polish), in Proc. of Conf. on Outdoor High-Voltage Insulation (NIWE'2000), Bielsko-Biala, Poland, 2000, K.L. Chrzan, and V. Rakov. "Some Results from Recent Experiments at the International Center for Lightning Research and Testing at Camp Blanding, Florida", (Abstract), Eos Trans. Suppl., AGU, vol. 80, No. 46, Nov. 16, 1999, p. F203, V.A. Rakov, M.A. Uman, D. Wang, K.J. Rambo, D.E. Crawford, G.H. Schnetzer, and R.J. Fisher. Uman, M.A. "How Valid are the Estimates of Global NO Production by Atmospheric Electrical Discharges", (Abstract), Eos Trans. Suppl., AGU, vol. 80, No. 46, p. F194, Nov. 16, 1999. ""Transient Currents and Voltages in a Power Distribution System due to Natural Lightning", in Proc. of the 1999 IEEE/PES Transmission and Distribution Conference, New Orleans, Louisiana, April 11-17, 1999, paper TD 319, M.I. Fernandez, V.A. Rakov, and M.A. Uman. "Rocket-Triggered Lightning Experiments at Camp Blanding, Florida ", in Proc. of the 1999 Int. Conf. on Lightning and Static Electricity, Toulouse, France, June 22-24, 1999, pp. 469-481, V.A. Rakov. "Rocket-Triggered Lightning Experiments at Camp Blanding, Florida", in Proc. of the V Int. Symp. on Lightning Protection (SIPDA V), Sao Paulo, Brazil, May 17-21, 1999, pp. 373-394, V.A. Rakov. "Multiple-Station Measurements of Triggered-Lightning Electric and Magnetic Fields", in Proc. of the 11th Int. Conf. on Atmospheric Electricity , Guntersville, Alabama, June 7-11, 1999, pp. 154-157, D.E. Crawford, V.A. Rakov, M.A. Uman, G.H. Schnetzer, K.J. Rambo, and M.V. Stapleton. "Propagation Characteristics of Return Strokes and M-Components in Florida Rocket-Triggered Lightning", in Proc. of the 11th Int. Conf. on Atmospheric Electricity , Guntersville, Alabama, June 7-11, 1999, pp. 99-102, D. Wang, T. Ito, N. Takagi, T. Watanabe, V.A. Rakov, and M.A. Uman. "Lightning Electric and Magnetic Fields", in Proc. of the 13th Int. Zurich Symp. on EMC, Zurich, Switzerland, February 16-18, 1999, pp. 561-566, V.A. Rakov. "Comparison of Positive and Negative Lightning", 1998 Int. Lightning Detection Conf., Tucson, Arizona, November 17-18, 1998, 19 p., V.A. Rakov. "Characteristics of Natural and Triggered Lightning", 1998 Int. Lightning Detection Conf., Tucson, Arizona, 13 p., Uman, M.A., November 17-18, 1998. "Lightning and Its Impact on Power Systems", CIGRE Int. Conf. on Insulation Coordination for Electricity Development in Central European Countries, Zagreb, Croatia, September 9-12, 1998, Paper P.34, 44 p., F. de la Rosa, C.A. Nucci, and V.A. Rakov. "A Comparison of Channel-Base Currents and Optical Signals for Rocket-Triggered Lightning Strokes", in Proc. of the 53rd Japanese Atmospheric Electricity Conference, Gifu, Japan, July 16-17, 1998, D. Wang, V.A. Rakov, M.A. Uman, K.J. Rambo, N. Takagi, T. Watanabe, G.H. Schnetzer, and R.J. Fisher. "Some Optical Characteristics of Branches in Natural-Lightning First Strokes", in Proc. of the 53rd Japanese Atmospheric Electricity Conference, Gifu, Japan, July 16-17, 1998, D. Wang, N. Takagi, T. Watanabe, D. Crawford, V.A. Rakov, and M.A. Uman. "The Lightning Discharge", Moderator's Reports of the 24th Int. Conf. on Lightning Protection, Birmingham, United Kingdom, September 14-18, 1998, 2 p., V.A. Rakov. "Transient Currents and Voltages in a Power Distribution System Due to Natural Lightning," in Proc. of the 24th Int. Conf. on Lightning Protection, Birmingham, United Kingdom, September 14-18, 1998, pp. 622-629, M.I. Fernandez, V.A. Rakov, and M.A. Uman. "Review of Triggered-Lightning Experiments Performed on a Power Distribution System at Camp Blanding, Florida, During 1996 and 1997," in Proc. of the 24th Int. Conf. on Lightning Protection, Birmingham, United Kingdom, September 14-18, 1998, pp. 29-35, M.I. Fernandez, K.J. Rambo, M.V. Stapleton, V.A. Rakov, and M.A. Uman. "Attachment Process in Rocket-Triggered Lightning Strokes," in Proc. of the 24th Int. Conf. on Lightning Protection, Birmingham, United Kingdom, September 14-18, 1998, pp. 377-382, D. Wang, V.A. Rakov, M.A. Uman, N. Takagi, T. Watanabe, D. Crawford, K.J. Rambo, G.H. Schnetzer, R.J. Fisher, and Z.-I Kawasaki. "The Magnetic Field Environment of Nearby Lightning," in Proc. of the 24th Int. Conf. on Lightning Protection, Birmingham, United Kingdom, September 14-18, 1998, pp. 346-349, G.H. Schnetzer, R.J. Fisher, V.A. Rakov, and M.A. Uman. "Characteristics of the Current Pulses in the ICC Stage of Rocket Triggered Lightning" (Abstract), Eos Trans., AGU, Nov. 18, p. F77, 1997, D. Wang, M.I. Fernandez, K.J. Rambo, V.A. Rakov, M.A. Uman, G.H. Schnetzer, and R.J. Fisher. "1997 Multiple-Station Lightning Field Measurements at ICLRT, Camp Blanding, Florida" (Abstract), Eos Trans., AGU, Nov. 18, p. F81, 1997, D.E. Crawford, G.H. Schnetzer, M.A. Uman, V.A. Rakov, K.J. Rambo, and M.V. Stapleton. "An Antenna Theory Model for the Lightning Return Stroke", in Proc. of the 12th Int. Zurich Symp. on EMC, Zurich, Switzerland, February 18-20, 1997, pp. 149-152, R. Moini, V.A. Rakov, M.A. Uman, and B. Kordi. "Comments on the Significance of Retardation Effects in Calculating the Radiated Electromagnetic Fields from an Extending Discharge", in Proc. of the 12th Int. Zurich Symp. on EMC, Zurich, Switzerland, February 18-20, 1997, pp. 71-76, R. Thottappillil, M.A. Uman, and V.A. Rakov. "Lightning Electromagnetic Fields: Modeling and Measurements", in Proc. of the 12th Int. Zurich Symp. on EMC, Zurich, Switzerland, February 18-20, 1997, pp. 59-64, V.A. Rakov. "Characterization of Currents and Electric and Magnetic Fields from Triggered Lightning Experiments of 1995 at Camp Blanding, Florida" (Abstract), 60th Annual Meeting of the Florida Academy of Sciences, Melbourne, Florida, March 29-30, 1996, vol. 59, pp. 27-28, M.I. Fernandez, V.A. Rakov, and M.A. Uman. "Initial Processes in Triggered Lightning" (Abstract), Eos Trans., AGU, Nov. 12, p. F86, 1996, V.A. Rakov, M.A. Uman, K.J. Rambo, M.I. Fernandez, A. Eybert-Berard, J.P. Berlandis, P.P. Barker, G.H. Schnetzer, and R.J. Fisher. 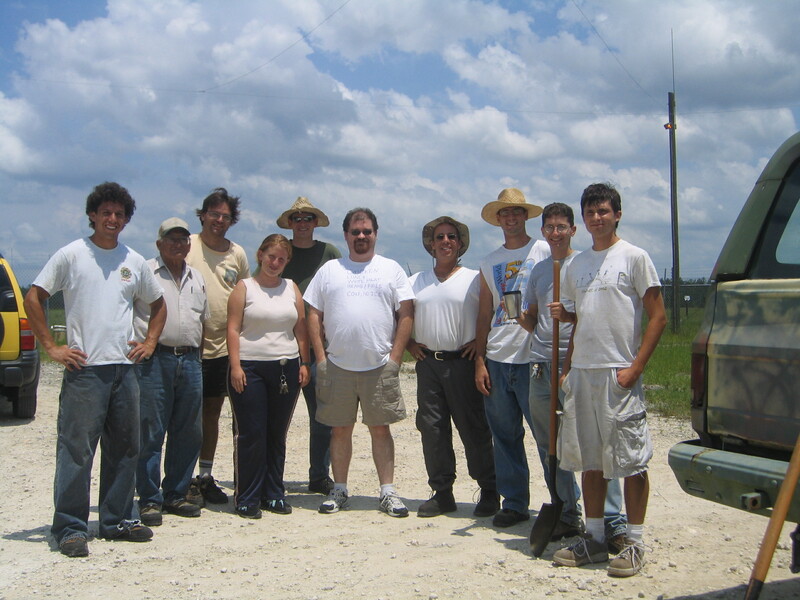 "1996 Lightning Experiments at ICLRT, Camp Blanding, Florida" (Abstract), Eos Trans., AGU, Nov. 12, p. F86, 1996, M.I. Fernandez, K.J. Rambo, M.A. Uman, V.A. Rakov, G.H. Schnetzer, R.J. Fisher, D.M. Jordan, M. Darveniza, R. Moini, C.D. Weidman, G. Diendorfer, and M. Mair. "On Use of the So-Called F Factor in Calculating the Electromagnetic Fields Radiated by an Extending Lightning Discharge" (Abstract), 25th General Assembly of URSI, Lille, France, August 28 - September 5, 1996, R. Thottappillil, M.A. Uman, and V.A. Rakov. "Lightning Occurrence and Mapping. Moderator's Report", in Proc. of the 23rd Int. Conf. on Lightning Protection, Florence, Italy, September 23-27, 1996, pp. 141-142, A.E. Pedersen and V.A. Rakov. "Observed Electromagnetic Environment Close to the Lightning Channel", in Proc. of the 23rd Int. Conf. on Lightning Protection, Florence, Italy, September 23-27, 1996, pp. 30-35, V.A. Rakov, M.A. Uman, M.I. Fernandez, R. Thottappillil, A. Eybert-Berard, J.P. Berlandis, F. Rachidi, M. Rubinstein, S. Guerrieri, and C.A. Nucci. "Triggered-Lightning Facility for Studying Lightning Effects on Power Systems", in Proc. of the 23rd Int. Conf. on Lightning Protection, Florence, Italy, September 23-27, 1996, pp. 73-78, M.A. Uman, V.A. Rakov, K.J. Rambo, T.W. Vaught, M.I. Fernandez, R. Bernstein, and C. Golden. "Time Domain Expressions for Remote Electric and Magnetic Fields in Terms of the Charge Distribution Along the Lightning Channel", in Proc. of the 23rd Int. Conf. on Lightning Protection, Florence, Italy, September 23-27, 1996, pp. 291-296, R. Thottappillil, V.A. Rakov, and M.A. Uman. "Modeling of Lightning Processes as Sources of Electromagnetic Fields" (Abstract), in Proc. of the Int. Symp. on Winter Lightning in Hokuriku, Kanazawa, Japan, June 17-18, 1996, pp. 15-16, V.A. Rakov. "New Insights into Lightning Processes Gained from Triggered-Lightning Experiments in Florida and Alabama", in Proc. of the 10th Int. Conf. on Atmospheric Electricity, Osaka, Japan, June 10- 14, 1996, pp. 672-675, V.A. Rakov, M.A. Uman, R. Thottappillil, A. Eybert-Berard, J.P. Berlandis, P. Lalande, A. Bonamy, P. Laroche, A. Bondiou-Clergerie, R.J. Fisher, and G.H. Schnetzer. "1995 Triggered Lightning Experiment in Florida", in Proc. of the 10th Int. Conf. on Atmospheric Electricity, Osaka, Japan, June 10-14, 1996, pp. 644-647, M.A. Uman, V.A. Rakov, K.J. Rambo, T.W. Vaught, M.I. Fernandez, J.A. Bach, Y. Su, A. Eybert-Berard, J.P. Berlandis, B. Bador, P. Lalande, A. Bonamy, F. Audran, F. Morillon, P. Laroche, A. Bondiou-Clergerie, S. Chauzy, S. Soula, C.D. Weidman, F. Rachidi, M. Rubinstein, C.A. Nucci, S. Guerrieri, H.K. Hoidalen, and V. Cooray. "Connection to Ground of an Artificially Triggered Negative Downward Stepped Leader ", in Proc. of the 10th Int. Conf. on Atmospheric Electricity, Osaka, Japan, June 10-14, 1996, pp. 668-671, P. Lalande, A. Bondiou-Clergerie, P. Laroche, A. Eybert-Berard, J.-P. Berlandis, B. Bador, A. Bonamy, M.A. Uman, and V.A. Rakov. "Electric and Magnetic Fields Close to Triggered Lightning from the 1995 Experiment at Camp Blanding, Florida" (Abstract), Eos Trans., AGU, Nov. 7, p.F129, 1995, V.A. Rakov, M.A. Uman, K.J. Rambo, A. Eybert-Berard, J.P. Berlandis, P. Lalande, and P. Laroche. "1995 Triggered Lightning Campaign at Camp Blanding, Florida" (Abstract), Eos Trans., AGU, Nov. 7, p.F128, 1995, M.A. Uman, V.A. Rakov, K.J. Rambo, T.W. Vaught, M.I. Fernandez, J.A. Bach, Y. Su, A. Eybert-Berard, J.P. Berlandis, B. Bador, P. Lalande, S. Chauzy, S. Soula, C.D. Weidman, F. Rachidi, M. Rubinstein, C.A. Nucci, S. Guerrieri, H.K. Hoidalen, and V. Cooray. "Electric Field Pulse Bursts in Cloud-to-Ground Lightning Discharges", in Proceedings of the 11th International Symposium on Electromagnetic Compatibility, March 7-9, 1995, Zurich, Switzerland, Paper 79M2, published by ETH Zentrum-IKT, Zurich, Switzerland (1995), pp. 417-422, V.A. Rakov, M.A. Uman, G.R. Hoffman, and M. Brook. "Mechanism of Lightning M Component" (Abstract), Eos Trans., AGU, Nov. 1, p.104, 1994, V.A. Rakov, R. Thottappillil, M.A. Uman, and P.P. Barker. "Fulgurites Produced by Triggered Lightning" (Abstract), Eos Trans., AGU, Nov. 1, p.99, 1994, M.A. Uman, D.J. Cordier, R.M. Chandler, V.A. Rakov, R. Bernstein, and P.P. Barker. "On the Duration of Time Intervals Between Lightning Return Strokes", 22nd International Conference on Lightning Protection (ICLP), September 19-23, 1994, Budapest, Hungary, Paper 1a-04, published by Technical University of Budapest, Budapest, Hungary (1994), 5p., V.A. Rakov and M.A. Uman. "Negative Subsequent Strokes: Natural Versus Triggered Lightning", 22nd International Conference on Lightning Protection (ICLP), September 19-23, 1994, Budapest, Hungary, Paper 1c-02, published by Technical University of Budapest, Budapest, Hungary (1994), 6p., R.J. Fisher, G.H. Schnetzer, R. Thottappillil, V.A. Rakov, M.A. Uman, and J.D. Goldberg. "Electric Fields Close to Triggered Lightning", International Symposium on Electromagnetic Compatibility (EMC'94 ROMA), September 13-16, 1994, Rome, Italy, Invited Paper B1, published by Faculty of Engineering - University of Rome "La Sapienza", Rome, Italy (1994), Vol. I, pp. 33- 37, M.A. Uman, V.A. Rakov, J.A. Versaggi, R. Thottappillil, A. Eybert-Berard, L. Barret, J.-P. Berlandis, B. Bador, P.P. Barker, S.P. Hnat, J.P. Oravsky, T.A. Short, C.A. Warren, and R. Bernstein. "Review of Lightning Properties Pertinent to GDS Operations from Simultaneous Electric Fields and TV Measurements", The Lightning Chronicle, March 1994, Published by Atmospheric Research Systems, Inc., GeoMet Data Services, Inc. and Lightning Location and Protection, Inc., 2p., M.A. Uman, V.A. Rakov, and R. Thottappillil. "Multiple-Station Measurements of Close Electric and Magnetic Fields Produced by Triggered Lightning Discharges" (Abstract), Eos Trans., AGU, Oct. 26, p.164, 1993, M.A. Uman, V.A. Rakov, R. Thottappillil, J.A. Versaggi, A. Eybert-Berard, L. Barret. P.P. Barker, and S.P. Hnat. "Comparison of Return Stroke Parameters in Triggered and Natural Lightning" (Abstract), Eos Trans., AGU, Oct. 26, p.155, 1993, R. Thottappillil, V.A. Rakov, M.A. Uman, J.D. Goldberg, R.J. Fisher, and G.H. Schnetzer. "Microsecond-Scale Electric Field Pulses in Cloud Lightning Flashes", in Proceedings of the 10th International Symposium on Electromagnetic Compatibility, March 9-11, 1993, Zurich, Switzerland, Paper 30F3, published by ETH Zentrum-IKT, Zurich, Switzerland (1993), pp. 149- 154, Y. Villanueva, V.A. Rakov, M.A. Uman, and M. Brook. Infrared and visible-range optical observations of lightning at LOG and assiciated modeling, 2017-2020, NSF. Interaction of lightning electromagnetic pulse with the ionosphere, 2015-2018, NSF. ADVICE: Advanced Diagnostics for VLF Ionospheric Channel Estimation, 2014-2015, DARPA. NLDN performance characteristics research at the University of Florida, 2014, Vaisala. Lightning Initiation, Propagation, Attachment, and Ionospheric Effect, 2010-2014, DARPA. Lightning: Electromagnetic Environment and Source Parameters, 2009-2014, NSF. Lightning and Propagation, 2009-2010, US Dept. Defense/DARPA. Lightning Research and Testing at Camp Blanding, 2009-2010, NASA. A Characterization of the Close Electric and Magnetic Fields and Thunder of Lightning from the UF Multiple Station Experiment, 1999-2010, Department of Transportation, Federal Aviation Administration. Update Direct-Strike Lightning Environment for Stockpile-to-Target Sequence Supplement LLNL - Contract #B568621, 2007-2010, Lawrence Livermore Laboratory.